The very first phase encountered in preparation for a CFD simulation on a new product is CAD model manipulation. And the very first step of this phase, especially when dealing with internal flows, is the so called “Fluid Volume Creation”. In this post we will review what this phase is all about. 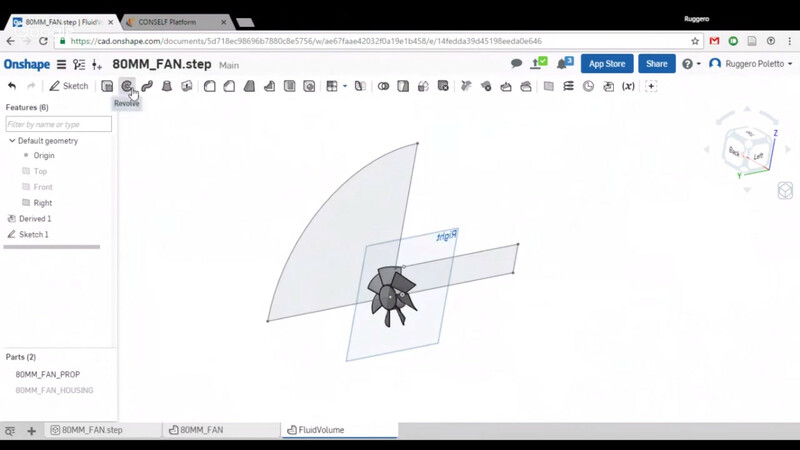 We will also show how to successfully complete it within Onshape, the full cloud CAD that is completely connected with CONSELF Web App, allowing for direct import of geometries inside the simulation platform. Fluid Volume: what is it? CAD models usually represent the actual shape of the product that one wants to study. These models can directly be used for FEM calculations, while an additional elaboration has to be performed before running a CFD analysis. Fluid dynamics deals with the so called “Fluid Domain” or “Fluid Volume“, where variable of interest have to be calculated. It can be not straightforward to understand how exactly it looks like, especially for complex geometries in internal flows (pumps, compressors, turbines, valves). Internal flows are slightly more critical when one attempts to figure out how the Fluid Domain looks like. But also when dealing with External flows it is fundamental to remember what it means. Let’s consider for example a typical aerodynamic problem simulated with an external flow: the drag calculation for an airplane or a car. The starting CAD model is placed inside a virtual wind tunnel where an air flow with prescribed velocity will generate the forces acting on it. The Fluid Volume in this case is the space contained between the wind tunnel boundaries and the external surface of the car/plane. So, it is clear why the car/plane model can be constituted only by those surfaces that are touched by the air: no seats, internal parts, under hood components, etc. Same concepts apply for internal flow simulations. If one wants to study the flow inside a pipe or a valve, the volume of the fluid contained inside it has to be modeled. 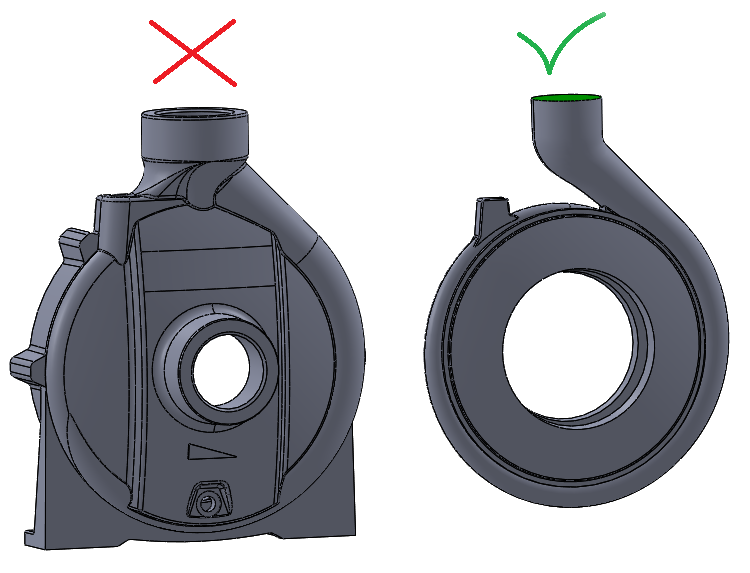 External parts of the pipe/valve do not interact with the flow, so they can be neglected when modeling the component, simplifying the geometry. The key CAD operation when creating the Fluid Volume is the Boolean Subtraction: when the simulation domain is identified defining boundaries around the model that will be studied, simply subtracting (in the Boolean sense) the starting CAD model from the simulation domain will provide us with the Fluid Volume to be used in our simulation! In the video on the right, we show how to create the Fluid Volume for a Fluid Dynamics Simulation on a generic fan surrounded by its case and placed near the electric motor supports. 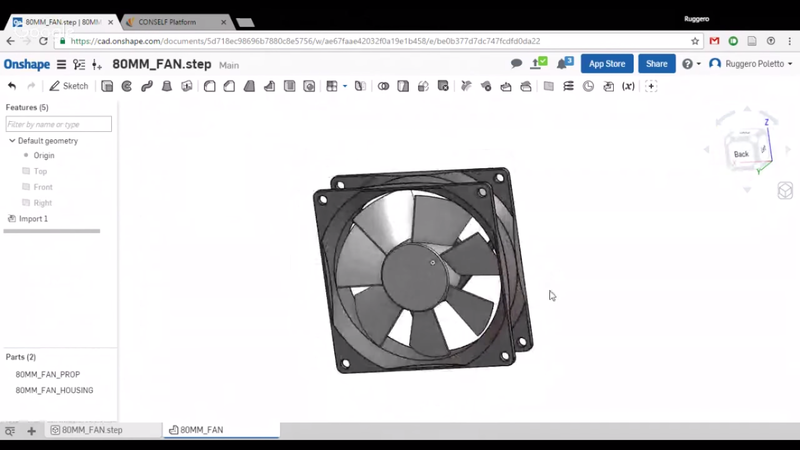 The step by step tutorial is performed with Onshape, the full cloud CAD. Try now with your CAD files! Create your CAD model on Onshape and extract the Fluid Volume, sign up for CONSELF free WELCOME plan and complete your first engineering simulation! Do you need advises, tutorials or just inspiration? Take a look at our webinars page, they allow every user to start from scratch and learn how to deal with CONSELF platform very quickly.